A look at the East Region of the NCAA Tournament, which resumes Thursday and ends with the championship game April 8 in Minneapolis. 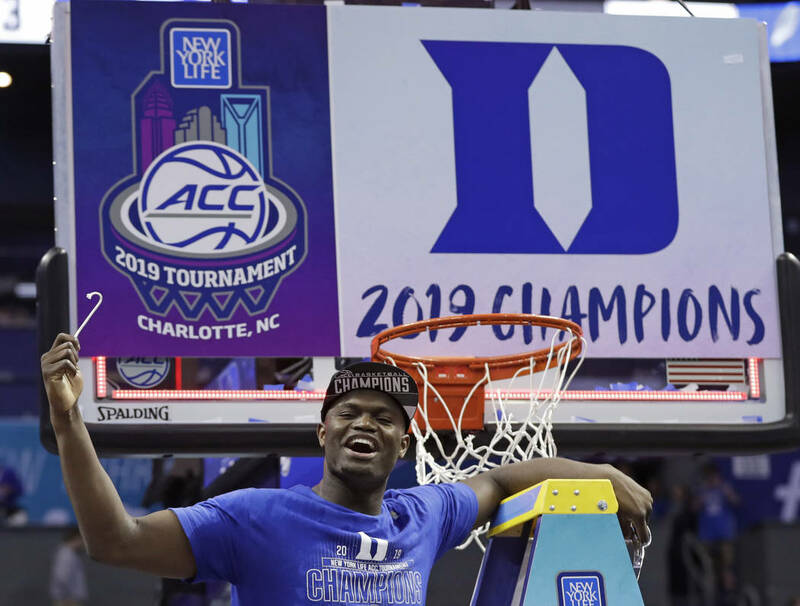 The healthy return of star Zion Williamson in the Atlantic Coast Conference Tournament again had the Blue Devils looking like the team to beat. 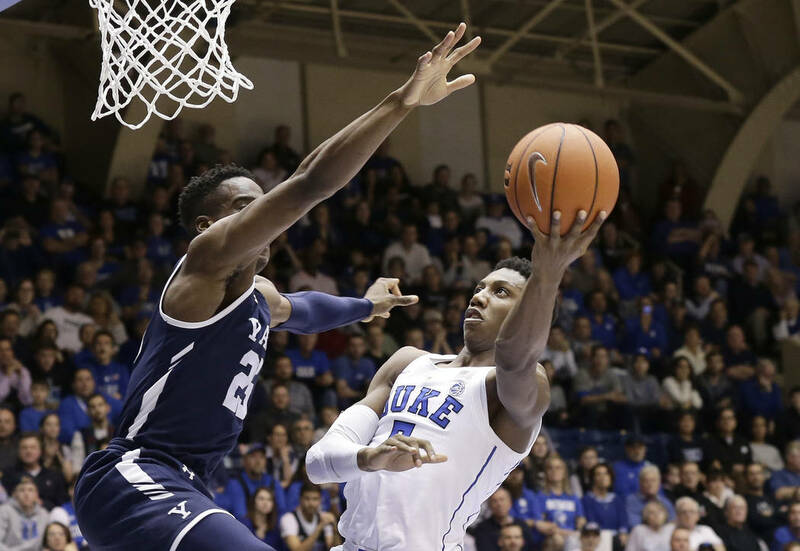 With three potential lottery picks, Duke has a loaded and versatile roster capable of overcoming questions about its inconsistent outside shooting. 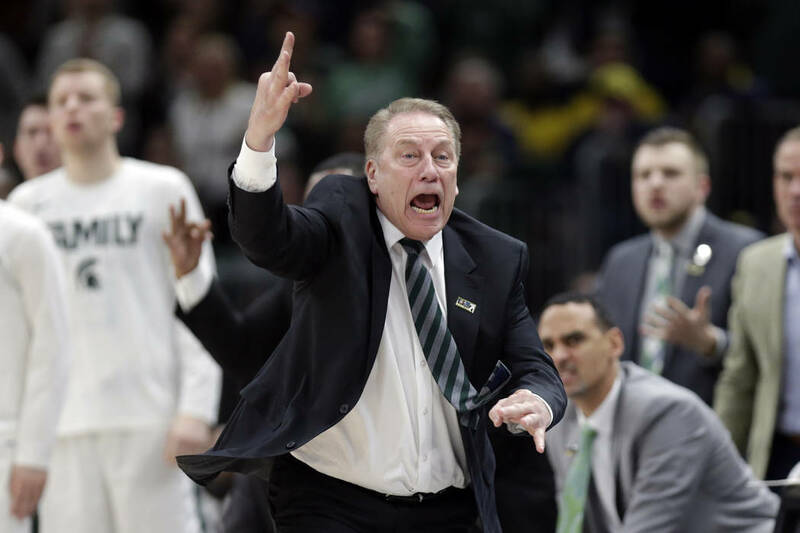 It’s Tom Izzo in March, so the Spartans will be prepared. This year’s team can defend like some of his most successful tournament teams. 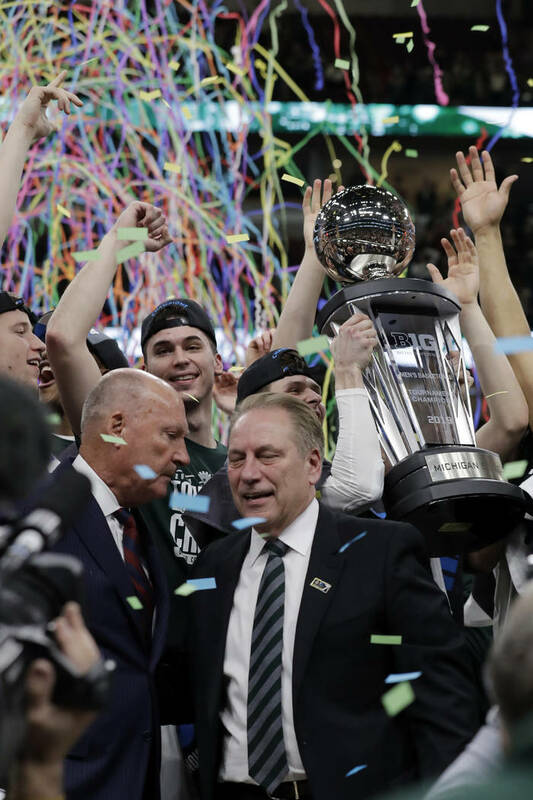 They won the Big Ten Tournament despite a slew of injuries, a list that grew when Kyle Ahrens was hurt Sunday and probably is out for the season. The Tigers have plenty of talent to make a run, especially if the reinstated Javonte Smart is allowed to continue playing through the investigation into his recruitment. LSU lost its first game of the Southeastern Conference Tournament with Tony Benford filling in for suspended coach Will Wade. The distractions might be too much. It looks as if Justin Robinson will return for the tournament after missing the past 12 games with a foot injury, which could make the Hokies a popular sleeper pick. The star point guard had 35 points and eight assists in a win over Syracuse in the game before getting hurt. It has been almost a decade since the Bulldogs have played in the tournament, but coach Ben Howland is no stranger to success. Whether he has any chance of sniffing his fourth Final Four will hinge largely on the play of star Quinndary Weatherspoon. After a one-year absence, the young Terrapins return to the tournament because they consistently defend and are one of the nation’s best rebounding teams. Their inconsistent offense probably stands in the way of a deep run. Expectations were down this season, as the Cardinals tried to get out from the dark cloud hanging over the program after the Rick Pitino era, but nobody told coach Chris Mack. 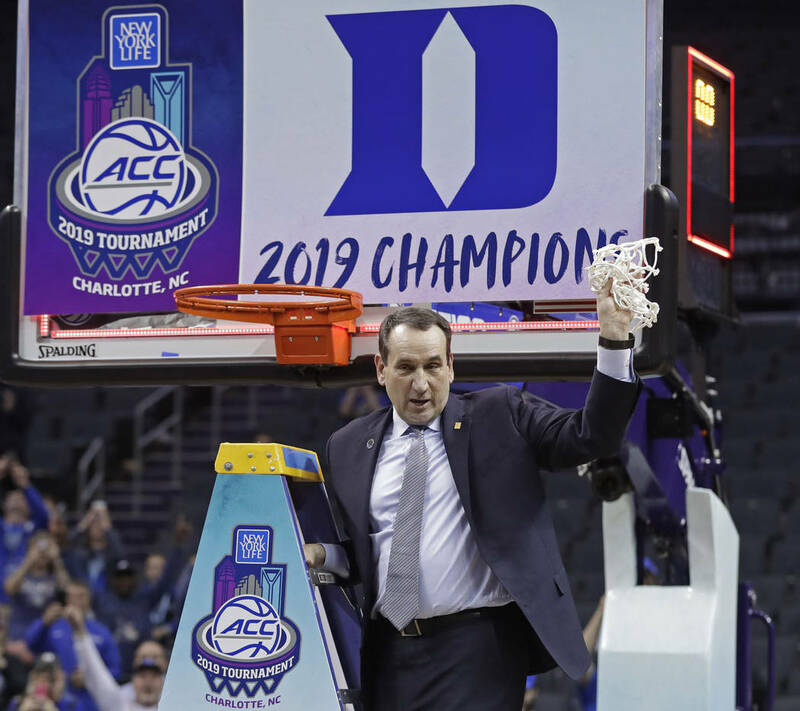 He landed an elite recruiting class and took a team picked 11th in the ACC to a tournament bid. Star point guard Marcus Evans was injured in the quarterfinals of the Atlantic 10 Tournament, and VCU lost to Rhode Island after winning the regular-season title. The Rams expect him to play in the tournament. If he doesn’t, they won’t be around for long. Aubrey Dawkins won a tournament game at Michigan and will look to end his collegiate career by winning another one playing for his father, Johnny. The Knights are good on defense, but struggle to shoot from the perimeter. They’re also among the nation’s worst free-throw shooting teams. Richard Pitino’s team beat Purdue twice, Iowa and Wisconsin, but lost to Rutgers and at Illinois by 27 points. The Gophers’ roller-coaster season appeared headed off the rails with a 2-6 February, but they were back on track before a blowout loss to Michigan in the Big Ten Tournament. Yes, an Ohio Valley Conference team received an at-large bid. The Belmont brand helped the cause, as coach Rick Byrd has put the school on the college basketball map despite an 0-7 NCAA Tournament record before Tuesday’s 81-70 play-in victory over Temple. Dylan Windler is the type of player who can change that. Belmont leads the nation in assists. Coach Ritchie McKay’s team is balanced. The Flames can defend and make shots at all three levels, but struggle against teams that can speed them up. Coach Travis Ford’s team was of the favorites to win the Atlantic 10, but stumbled through a season marred by injuries and the midseason departure of freshman Carte’Are Gordon. The Billikens then won the conference tournament. This is not your old-school Ivy League entrant. 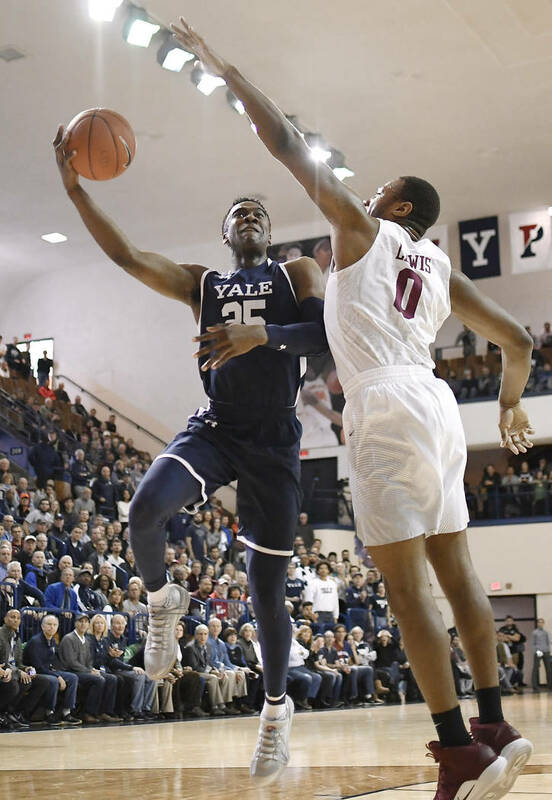 Yale gets up and down the floor and has four players averaging in double figures. The only starter not among that group is Trey Phills, son of the late NBA player Bobby Phills. The Bulldogs are in the field for just the second time since the John F. Kennedy assassination. 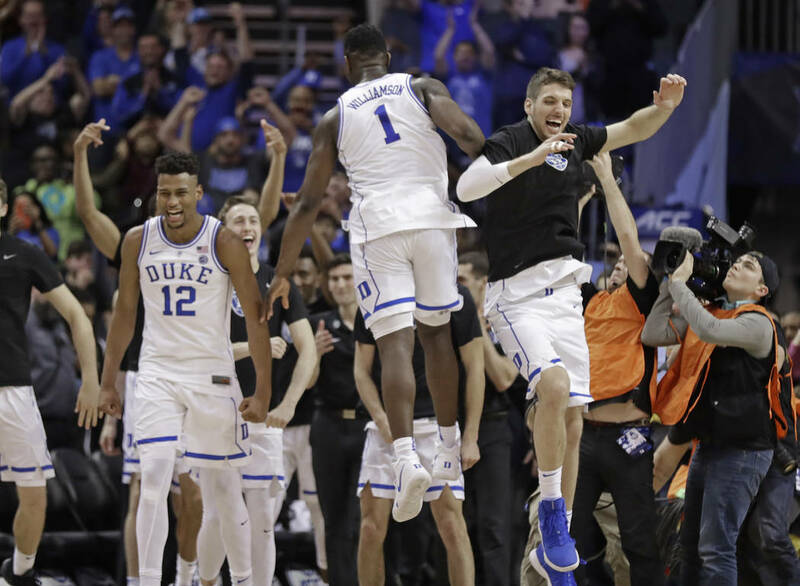 In their last appearance, they upset Baylor and put a scare into Duke before losing. The Braves ended Sister Jean’s dream of returning to the tournament with an upset of Loyola-Chicago in the Missouri Valley semifinals. Bradley is strong defensively, but probably doesn’t have enough offense to pull an upset. The Bison allow opponents to make 46 percent of their shots, which is probably why this excellent shooting team lost 15 games and is a 16 seed. Coach Levelle Moton joked before Selection Sunday that his team trying to beat Duke would be like his 6-year-old son attempting to beat him. The Eagles and North Dakota State met in a play-in game Wednesday night. Social media lights up every time he takes the floor. The phenom brings a combination of bulk and athleticism that can’t be contained by the average basketball shoe. NCAA Tournament players with a chance to leave school early to play in the NBA is entirely commonplace. Those players coming from an Ivy League team is not. The explosive point guard blossomed in his senior year of high school and hasn’t slowed in his development. Oni averaged 17.6 points, 6.4 rebounds and 3.6 assists this season. The 7-foot-6-inch shot-blocking dynamo from Senegal makes more than 75 percent of his shots. He plays about 24 minutes per game, but is impactful on almost every defensive possession. He was originally a soccer player. The senior has averaged double-figure scoring all four seasons, but that’s not why he’s on this list. He’s always around the ball and gets his hands on most rebounds that come his way. Laugh the next time someone from the selection committee says matchups aren’t manipulated to generate storylines. Gophers coach Richard Pitino meets the school that fired his dad in a bitter split. It’s not going to happen, but it’s fun to think about. Rumors abound that Virginia Tech coach Buzz Williams might bolt the ACC for a job in his native Texas. It would seem obvious that VCU coach Mike Rhoades would be the Hokies’ first call, unless some other school with a vacancy (UNLV?) hires Rhoades first. 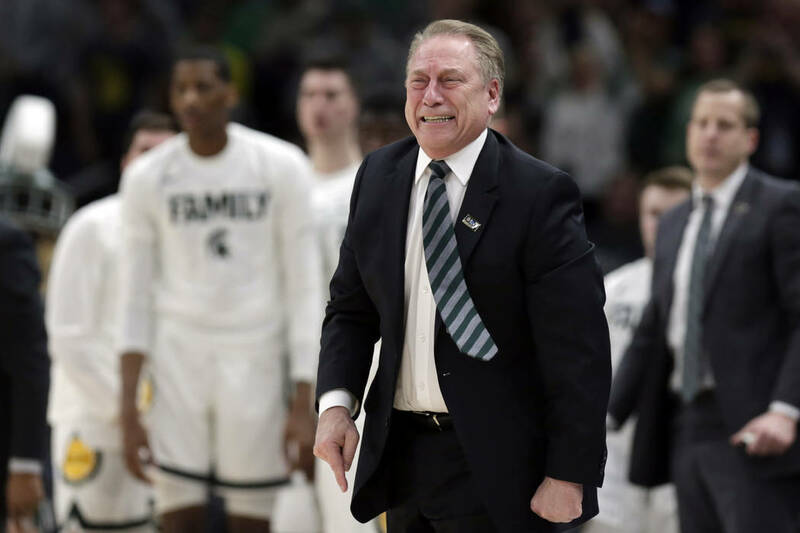 It would be fascinating to see what Spartans coach Tom Izzo would do to try to slow Duke’s contingent of lottery picks. 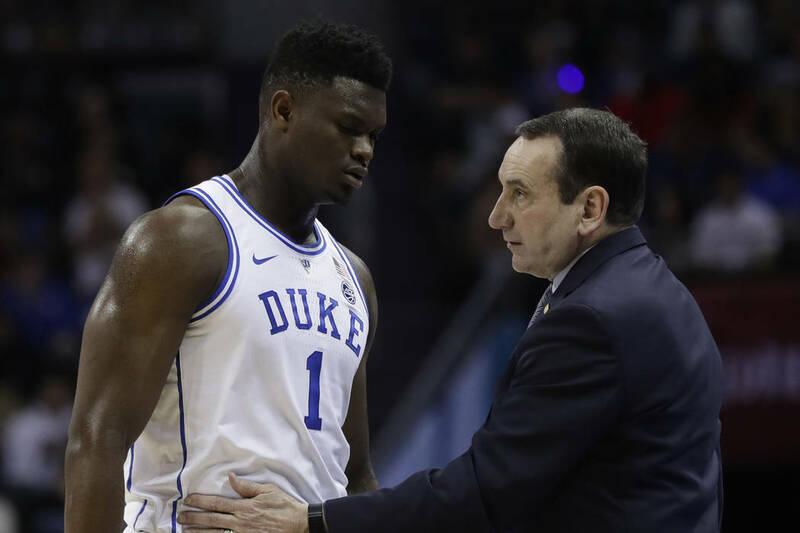 Even with one day to prepare, he undoubtedly would have a gimmick or two for Duke star Zion Williamson. The talented Bulldogs are underseeded, but must be pleased with their draw against an LSU team in disarray with a suspended coach. The Billikens’ defense has been consistent, but it wasn’t enough to stop them from scuffling through a disappointing regular season as preseason Atlantic 10 favorites. Their conference tournament run was a result of cutting down on turnovers and being more efficient on offense. If that continues, they become a tough out. The temptation is to try to find a way to bet against the prohibitive favorites. But that’s easier said than done. 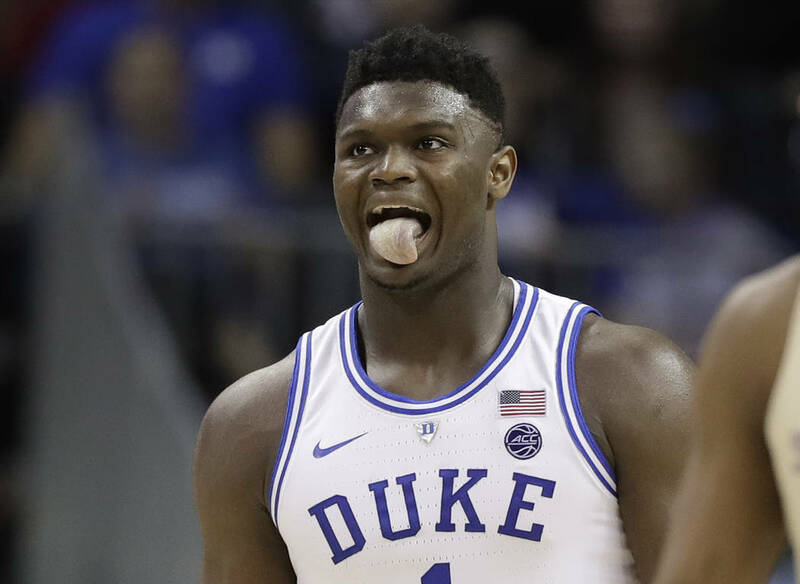 A healthy Zion Williamson makes the Blue Devils too tough to beat.